Then (after we finally got home after our car broke down in the parking lot…) we laid the swatches out on the ground and my roommate Nikki sorted them by color. She started by placing the darkest deepest red on top and then slowly transitioning it into orange. Then made another pile with the reddest orange on top and the yellowest orange on the bottom, then another pile with the yellowest green on top and then bluest green on the bottom, and so forth. Pre-sorting these by shade and richness of color really helped the process become faster in the end. We figured out that the system that worked best for us was having 3 of us tape and one of us place them on the wall. To tape we simply rolled up a piece of tape on each corner of the back of the swatch. Then we handed it to the roommate that was placing them on the wall and she organized them so they transitioned well into each other. Since the wall was taller than it was wide, we had to transition the right to left portion faster than from the top to bottom. We made sure that there were small spaces in between each swatch and that each swatch was placed straight, like a grid. Total time: 1 hour 30 minutes. Want another DIY guide for another paint swatch craft? 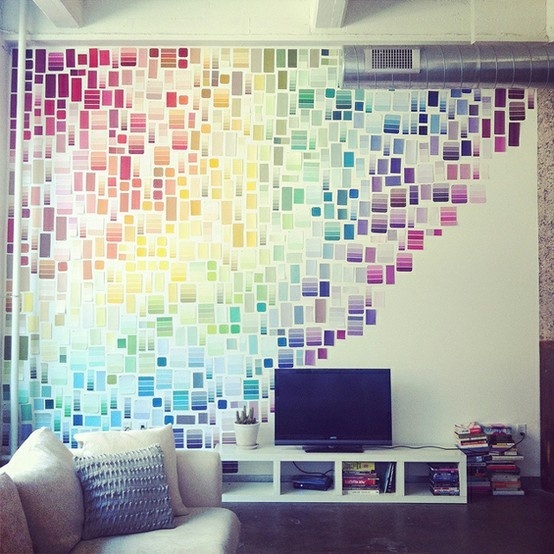 Check out how to make a motivation wall out of paint swatches! We call this the “Sunrise” style. Want to see a different style? 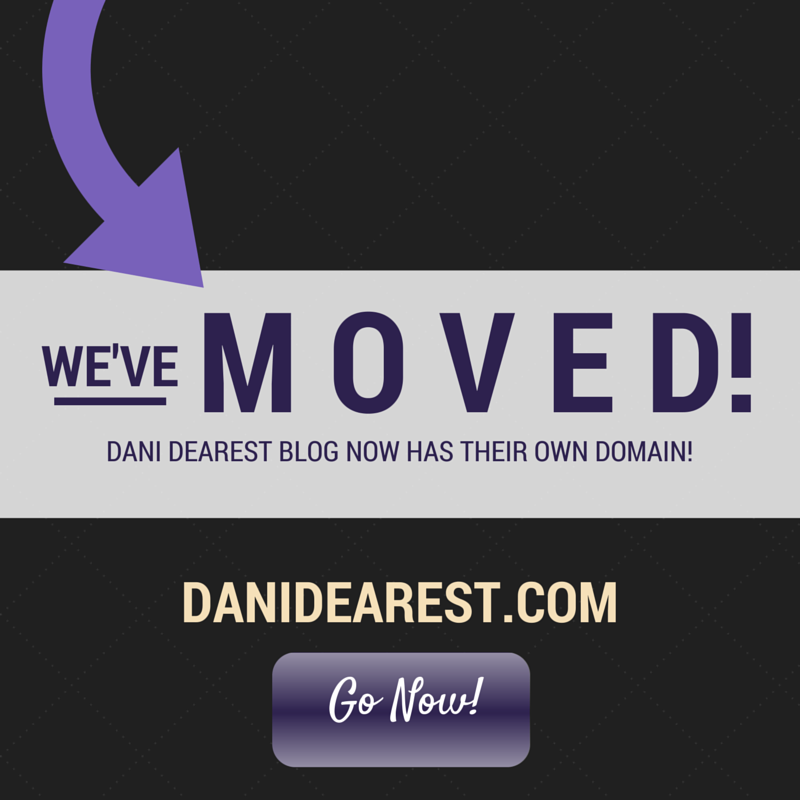 View our version of the “grid” style here! While gathering ideas for dorm room decorations my roommates and I came across a lot of ideas about designs that you can make using paint samples. Since our University does not allow us to paint the walls in our rooms (most schools don’t let you) we decided that this was a cute, simple, way to give temporary color and personality to our space. Cool, right? We sure thought so. 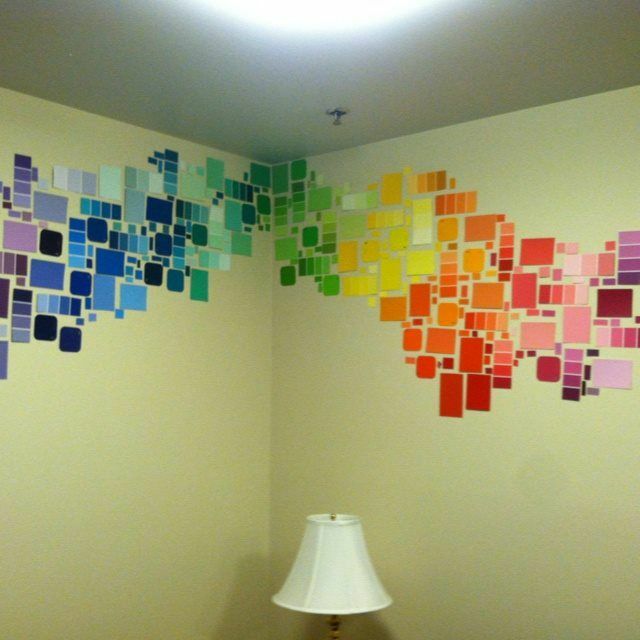 We planned to do something similar to this before we met in person, so one of my roommates and I went to Home Depot and grabbed tons of paint swatches. We didn’t have chance to coordinate as much as it would require to do so for those fancy designs, so we just did the best with what we had. We put 4 small rolled up pieces of scotch tape on the back of each paint swatch, one on each corner of the swatch, to make sure it would stick to the wall. We started with red in the corner and tried our best to fade it out in a rainbow pattern, ending with light pink/purple at the top. It took a lot of teamwork, coordination, and loud music… but here was our result! We hope to collect more paint samples soon and begin the same pattern in the top left corner of the wall, so they meet and combine in the center creating a full rainbow going up and back. How have you added some color and personality to your dorm room? Tell me below!